CNNgo, CNN’s revolutionary news-watching experience that offers live CNN broadcasts and on demand content, was named to Apple’s Best of 2016 list for Apple TV apps. 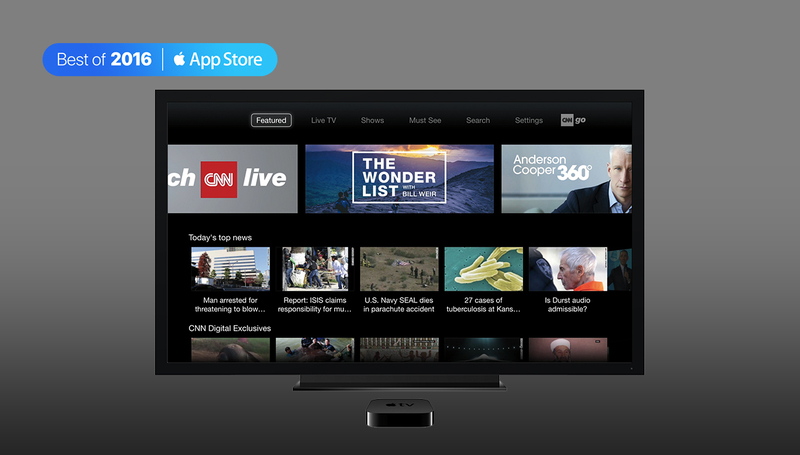 The honor showcases the year’s most innovative apps, and celebrates the engaging and seamless experience offered to Apple TV users. CNNgo is a next-generation product that gives viewers unprecedented control over their TV news experience, and is available on CNN.com, CNN’s iPad app and on Apple TV, Roku, Amazon FireTV and Android TV.